Dec-Assess have joined the PDA! 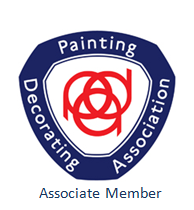 We are pleased to announce that Dec-Assess Ltd are now associate members of the Painting and Decorating Association. The PDA is a historic trade organisation, operational since 1894, dedicated to protecting the craft and the well being of both its members and their clientele. We look forward to working with them as Training Providers and supporting their members.